The study looked at factors like sidewalks, the speed of traffic, the volume of traffic, the number of vehicle lanes, separation from traffic, and the number of pedestrian crossings. 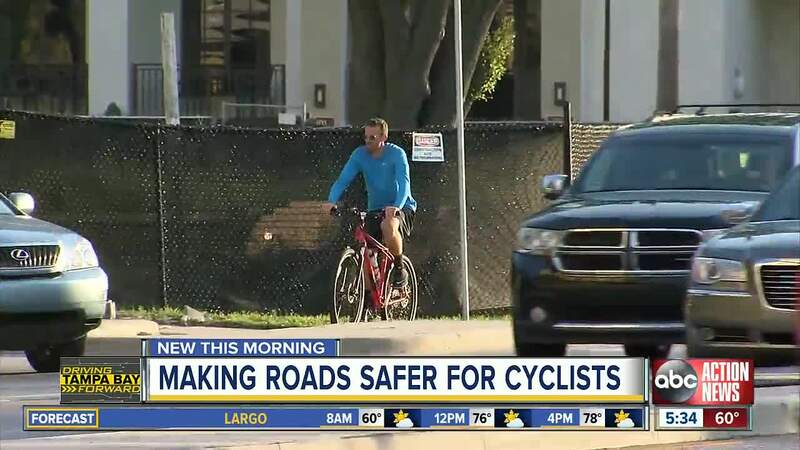 HILLSBOROUGH COUNTY, Fla. — Hillsborough County leaders have found that the majority of our roads are considered unsafe for pedestrians and bicyclists. 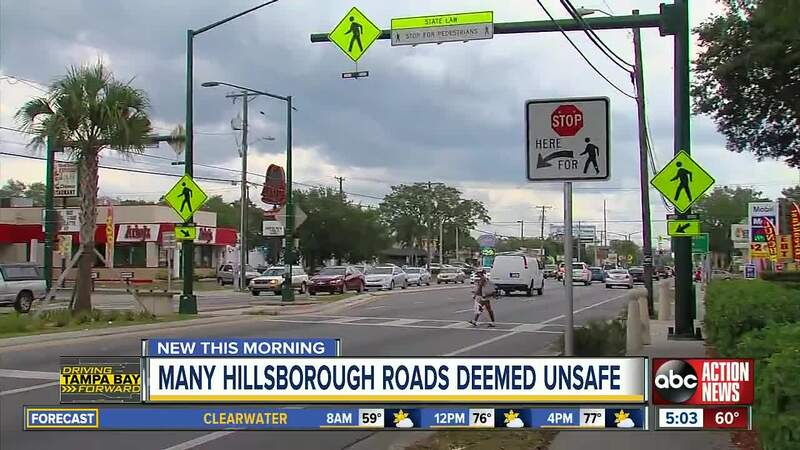 In a study, called Evaluating Bicycle and Pedestrian Quality of Service , they found 77 percent of roadways in Hillsborough County have dangerous conditions for pedestrians. The majority of streets in Hillsborough County that ranked the worst for pedestrians were because they do not have sidewalks on both sides. Most of the segments that were evaluated as safe for pedestrians are in downtown Tampa. When it comes to cyclists, roads are considered unsafe as well. The study found 90 percent of the roadways in Hillsborough County had hazards. Most of the segments that were evaluated as safe are also in downtown Tampa. Bike Signals: A bicycle signal is used in addition to existing traffic signals and provides custom guidance for bicyclists, such as a leading bicycle interval, an all bicycle interval or different clearance times as applicable. Bike Boxes: A bicycle box is a painted area in front of the stop bar for bicyclists to wait for a green light. This allows for the bicyclists to proceed through the intersection ahead of the vehicles. Bike boxes also make left-turn movements easier, as bicyclists can enter the left-turn lane via the bike box. Two-Stage Turn Queue Boxes: A two-stage queue crossing allows a bicyclist to make a left turn without crossing opposing traffic. A bicyclist travels in one direction with through traffic, waits in the queue box, and then travels the other direction with through traffic to complete the left-turn turn. The results presented in this report identify opportunities and challenges at the corridor and intersection level for pedestrians and bicyclists, according to the study. The results will be used to inform MPO planning and project prioritization. As a result of this project, the MPO has an updated intersection and segment database that will be updated as projects are built.